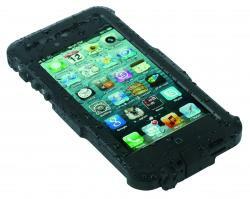 Protecting your cell phone from water is an important consideration. Even if you aren't a boater, beach-goer or a person who spends time at the pool, your phone is still vulnerable to damage from beverage spills, rain, sinks and more. Waterproof cases can be great options for just about anyone; when a case is designed to be waterproof, it also serves to protect your phone from dust, dirt and snow. If you're looking for a way to protect your Samsung Galaxy S4 or Galaxy Note 3 from water, the Obex waterproof case from Seidio is a great choice. The S4 case costs just under $80, and the Note 3 version is just under $90. 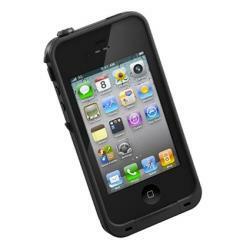 These cases are waterproof when submerged up to two meters, and they're also impact-proof for falls of up to six feet. Each case is made from polycarbonate (PC) and thermoplastic polyurethane (TPU) and weighs just two ounces. A review of the case on the Bane-Tech.com blog describes how "easy it is to install and operate" and says that it is "built really well." If you're an iPhone user who enjoys an active, outdoor lifestyle, the $99 Bravo from Bike2Power just might be the perfect case for you. Not only is this case waterproof to the point of being submersible up to two meters, it also looks great and is incredibly strong even though it weighs less than three ounces. Thanks to its aluminum alloy construction, this case is also as close to drop-proof as a cell phone case can be, offering protection against drops from as high as 6.6 feet. This is also a great looking case; it's even referred to as "simply beautiful" on PhoneArena.com. For iPhone and Samsung owners, LifeProof offers excellent waterproof options that range from $80 to $90. Versions that fit iPhone models 4, 4S, 4, 5, 5C and 5S are available, as well as versions for Samsung S3 and S4. The S5 case is being developed as of June 2014; you can register on the company's website to be notified when it becomes available. All versions are designed to be waterproof in up to 6.6 feet of submersion, and each case is tested individually before leaving the factory to ensure that there is no leaking. These cases are also designed to be shock-proof, meaning that they provide protection for your phone in the event that it is dropped. 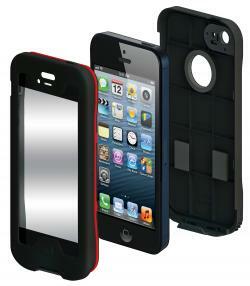 According to cnet, this case is "arguably the best tough iPhone case on the market." If you don't want to keep your phone inside a waterproof case all the time, but you don't want to have to remove its everyday case when you are going to be around water, an Otterbox Dry Case is a great option to consider. Several models are available, ranging in price from $11 to $35 each with the only significant differences being size and shape. Some models are sized to hold just a phone and case (be sure you know the dimensions of yours so you choose the right one), while others will hold additional items like your wallet, keys, batteries and more. 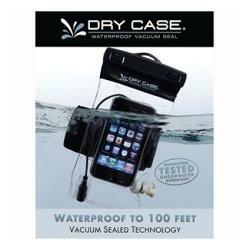 Each Otterbox Dry Case model is 100 percent water-tight and waterproof, even when submersed up to 100 feet. 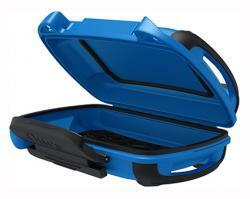 These cases are also crush-proof and are designed to float, which is an ideal feature for boaters. Customers on Amazon rate these cases highly, praising the variety of sizes, sturdiness, and ability to keep stored items dry during activities like canoeing and scuba diving. Waterproof protection is just as important for tablets as it is for cell phones. Fortunately, there are a number of good options that can make it safe for you to enjoy using your tablet poolside or at the beach, as well as just protecting it from the spills, drops, and other accidents that occur in daily life. LifeProof makes waterproof iPad cases with the same great features as the company's cell phone cases. Versions are available for iPad 2, 3 and 4, as well as Air and Mini. Prices range from around $100 to $130, depending on the specific model selected. These cases remain waterproof when submersed in up to 6.6 feet of water and are verified to be leak-proof before leaving the factory. 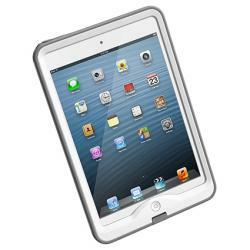 They are also designed to withstand the shocks of falls and drops, keeping your iPad safe from impact-related damage. A Macworld review concludes that these cases offer great protection for iPad owners who often expose their devices to the elements. Although DryCase doesn't offer the added feature of drop protection, it is a good option for tablet owners whose primary concern is waterproofing. It will work with any tablet device and costs around $60. A Notebooks.com review describes the case as "a really nice case for the price if you want a case that you can take your iPad out of without worrying about it getting wet." This isn't a case that you snap around your device. Instead, it is a clear pouch that secures in place with a vacuum seal and offers waterproof protection up to 100 feet of submersion. At first glance, it looks like a large, clear pencil pouch like kids use in elementary school. To use DryCase, you will need to place your tablet inside the pouch. Once the clasps are closed, you will use the hand-operated vacuum pump that comes with the case to take the air out of it for a custom fit regardless of which model tablet you have. All of the air needs to be removed for you to be able to use the device's touch screen. Additional features include waterproof jacks for a headphone set and a microphone. These are just a few of the many great options available to protect your cell phone or tablet from the damaging effects of water and other substances. When making your selection, consider how and where you use your device most often and choose ones that meets your practical needs as well as your aesthetic sensibilities.